Move over road runner, Tunbridge Wells has a runaway rhea! An escaped rhea has been racing cars and generating a stream of traffic in its wake throughout Tunbridge Wells. 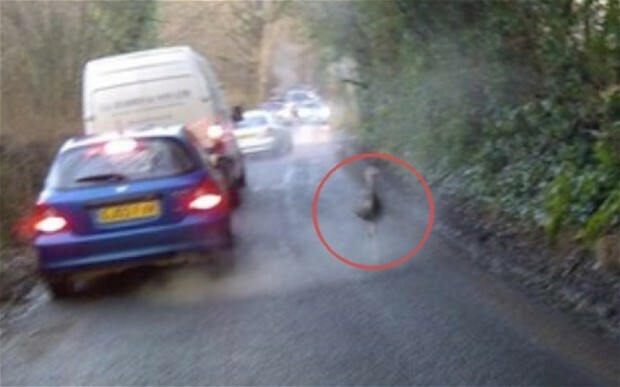 The bird was spotted running at speeds exceeding 40mph on the main road between Rusthall and Speldhurst on Monday 13th January 2014. At first the bird was believed to be an ostrich, and confused motorists pulled over to avoid hitting the two foot bird. The resulting frenzy caused delays of more than twenty minutes from 8:30am. 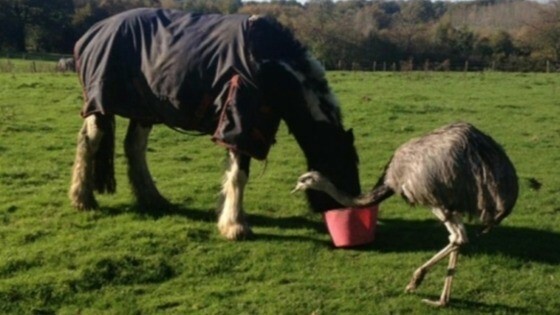 The escapades came to a swift conclusion later that day, when the owner of the five month old bird, now identified as Baby the rhea, located and returned him to Harwarton Farm near Lower Green Road. Baby’s day out must have inspired his brethren to follow suit, as the day after he returned home two of his fellow avian associates made a break for freedom. The culprits, Spotticus and Beansprout, were spotted in a neighbouring farmer’s field, and were soon reclaimed by their owner. Mrs Lamb decided to raise rheas after learning of their aptitude for chasing away foxes. Eighteen months ago her first hatchling was born, and soon she developed a great companionship with the species, now housing eight rheas on her farm. Rheas are flightless birds native to South American grasslands. They are beautiful creatures, with the largest ones growing up to five feet seven inches. Rheas are regarded by the International Union for Conservation of Nature as near threatened. As long as they stay away from the main roads, rheas can comfortably thrive in the Kentish rural environment.